the sweetest thing...: SIX Days Until the MFT February Release! 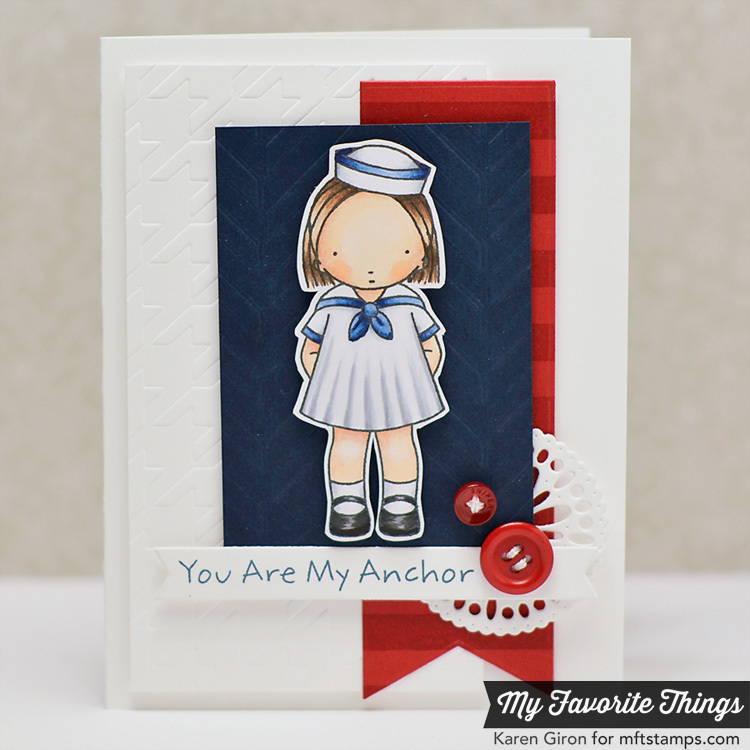 Tonight I have a card using this adorable little Pure Innocence Sailor Girl stamp set. I started by stamping her on X-Press It Blending Card Stock and then colored her with Copic Markers. I fussy cut her out and popped her up over a panel of Nightshift Blue Card Stock, which I embossed with the On the Diagonal Stencil. I added the little Mini Delicate Doilies Die-namics along the side and put some Electric Red Buttons up top. The layout is MFTWSC161. Super cute, love the pleats! Very cute!!! She is the sweetest thing!! She is so cute! Love the textured backgrounds. Great card! Thank you for sharing! Love love the embossed texture on the background. Adorable card. Wow! This can be one particular of the most helpful blogs Weve ever arrive across on this subject. Actually Wonderful. Im also an expert in this topic therefore I can understand your effort. So sweet! Love all the patterns! Love the blue and red!! Fantastic card!! Love the card! You did awesome coloring this! This is so sweet! I love the colors everyone seems to be using today! :) Love the embossing on your card, and the doily is so cute! WOW! Pleats. I am impressed. Your layout and coloring are wonderful. 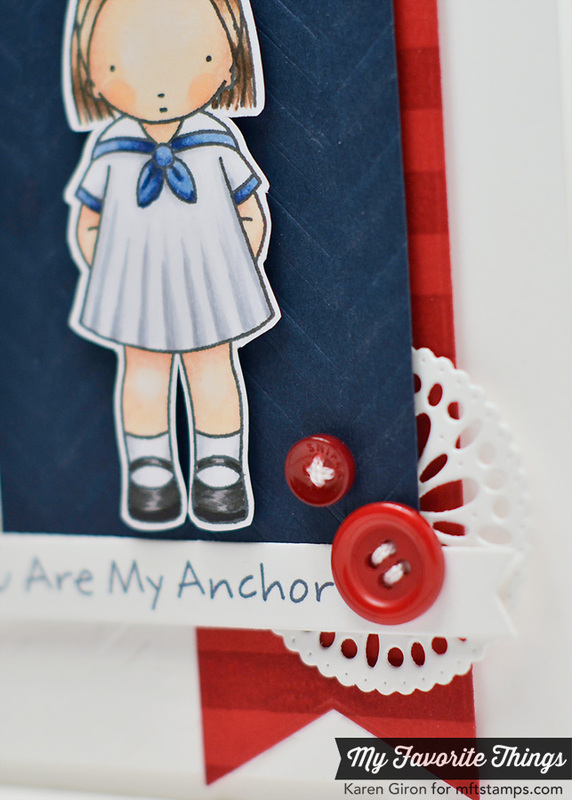 I love how you colored the little Sailor Girl! The Mini Delicate Doily is a lovely detail! So cute!! I love how you colored in her pleats!! That little PI girl is so precious. I love your coloring and how you made pleats on her dress! Could she be any cuter??? Love the pleats on her little sailor dress.